The more and various kinds of accessories which support the latest Apple products, this time coming from the company from San Francisco, United States. Super thin case for you who hate the thickness. Yes, Peel is famous iPhone case designed is very thin and lightweight this time issued for the iPhone 6 and iPhone 6 Plus. Made from Polycarbonate is very thin but still strong, Peel also makes its casing so flexible, easily removable on your iPhone. Once used on your iPhone device, this case is barely visible. 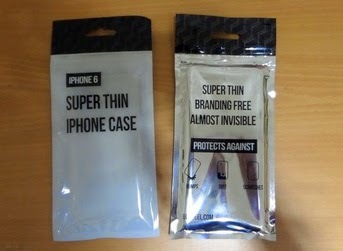 iPhone you do not like using a case, coupled with this case free of Peel brand logo itself. Peel is suitable for you who are not familiar with the case, but on the other hand requires more security for your iPhone. Peel provide more security that is not visible. With a price range from 19.99 to 24.99 USD, Peel can be ordered through the official website and follow buypeel.com to get more information.